You are here: Home / Mentoring / Mentoring Series / Grace-Full Living / Do You Believe the Bible? These days, even in Christian circles, it’s a loaded question. Everyone initially says yes, but their fine print on the issue may be different. Do you believe in the infallible Word of God? What exactly does infallible mean? 3. Incapable of error in defining doctrines touching faith or morals. Do you believe the Bible is without error? Do you believe God is capable of not only providing us with His Word, but also maintaining its integrity over time? * Do you believe that God created the earth? * Do you believe in the Virgin birth? * Do you believe that Christ rose from the dead? * Do you believe He is one day returning for His bride, the Church? * Do you believe the whole Bible? * Do you believe the Bible is complete? If any part of the Bible is wrong, then the entire book is in error. If one believes only certain sections and writes off others, that would mean God is capable of error and incapable of providing us with an infallible Word. If one part of the Bible is wrong, at what point does it become correct? At what point does God become infallible? After Genesis? Or maybe in Matthew? These are thought-provoking questions if one struggles with the importance of Scripture. Answers in Genesis’ article: Jesus on the Infalliblity of Scripture. 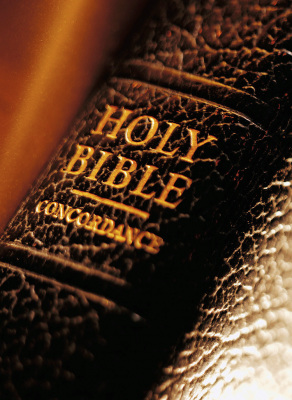 Got Questions’ article: Why is it Important to Believe in Biblical Inerrancy? If you have an issue with any part of Scripture, take it to God in prayer. Instead of avoiding the subject–face it head on. Ask the Lord for discernment and direction. God is not man who will give hundreds of different opinions. Stop looking for the opinion that fits what you think it means and just ask God. Study His Word. One of the works of the Holy Spirit in the life of believers is to lead us into all truth (John 16:13). Go to Him in prayer and dig into the Bible. Amen! I’ve included a section in my grandparenting Bible study about passing on a love for God’s word. That’s part of the legacy I want to leave my grandchildren.